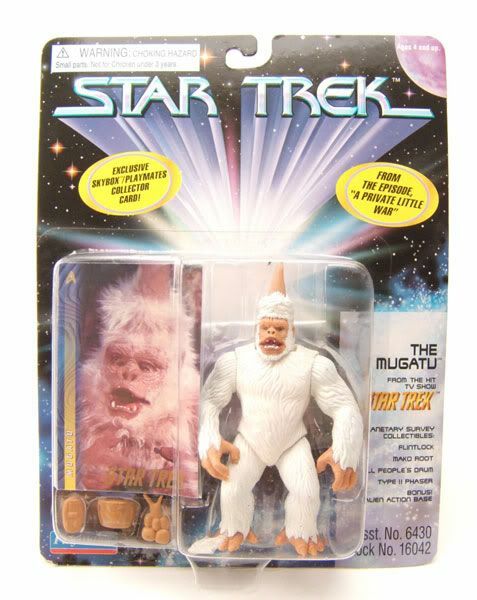 The Mugato was released carded on the star Trek 'Unified' Cardback. The Rundown: The poor Mugato. He's stuck with one of those names that folks just can't get right. He was originally called the Gumato in the script to "A Private Little War" (and that name still appears in the credits of the epsiode). Rumor has it that De Kelley couldn't pronounce "Gumato" correctly though, so that was changed to "Mugato". 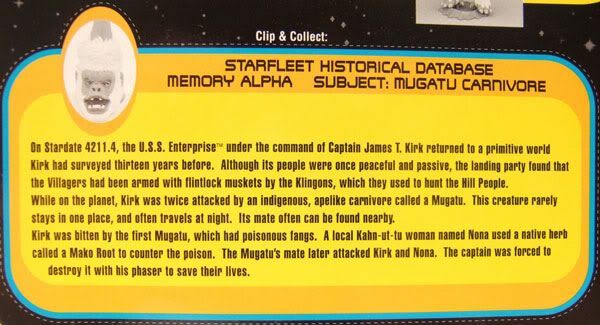 While filming the episode, both Shatner and Kelley kept pronouncing it "MugatU" instead of "MugatO". That mispronunciation lead alot folks to spell it that way, including the Star Trek Compendium and the film Zoolander. Playmates kept the confusion going by spelling it both ways on the packaging of this figure. The figure is labeled incorrectly as the "Mugatu" on the front of the card, the bio, and the collector's card.... but the "Collect Them All!" shot labels him correctly as the "Mugato". Confused yet? I am. Well, they may have messed up the cardback, but they did a really great job on the figure! The headsculpt is one of Playmates finest. The head looks almost exactly like the rubber mask used in the episode. Its covered in wrinkles and crevices, and the grimace on the face is like a carbon copy. While it's not articulated as well as the other playmates offerings, the figure is still incredibly well done. 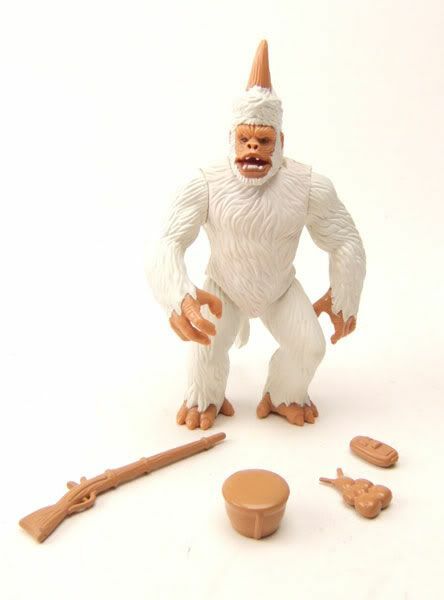 Playmates chose to skimp out on articulation in an effort to give the fur sculpt the attention it deserved. The result is seriously one of the best sculpts in the Playmates line. The fur detailing is great, but what really shines are the details in the hands and feet. Another nice little touch from Playmates was doing the back spikes and tail as a seperate piece that you plug into the figure's back. This made it so that the figure could fit in a standard package without sacrificing the realism in the sculpt. 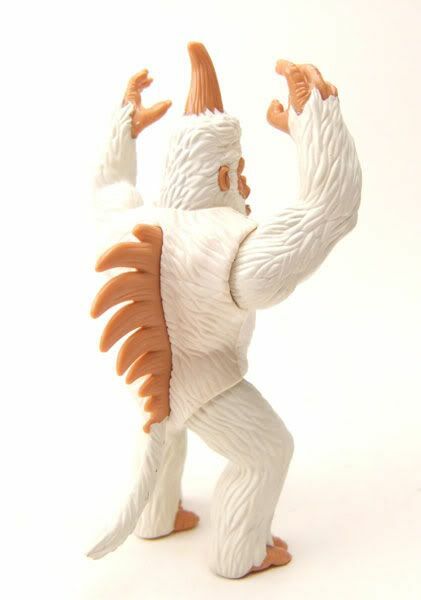 The Mugato has only been made in toy form a few times; we got the weird disco mego figure, the 12" plush-thing (also from Playmates), and this one here. 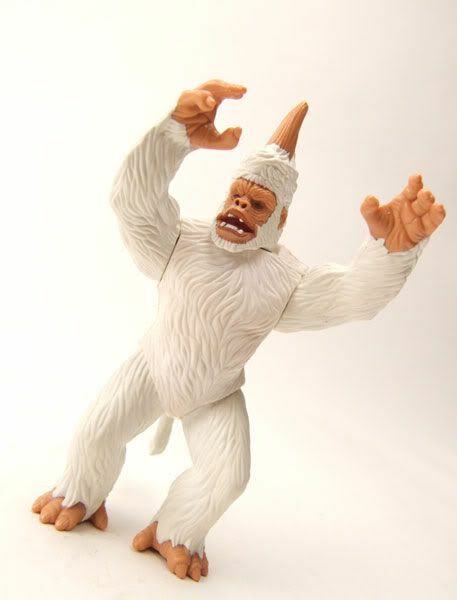 So for now at least, this is the best Mugato out there.... it also happens to be one of the best figures Playmates did in the entire Trek line (at least in my opinion). Great, great figure. 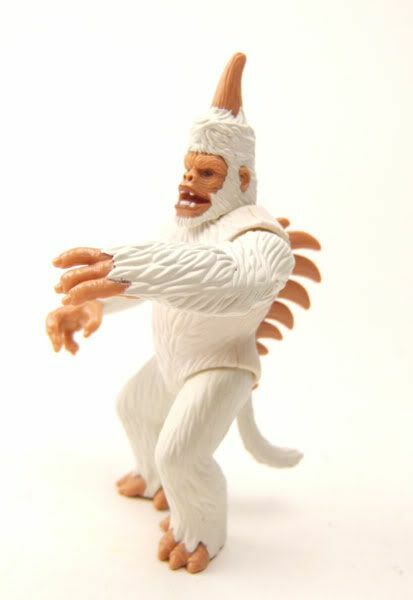 Accessories: The Mugato really didn't use anything in the apisode other than his mitts and his cool head spike, so instead he comes with stuff to give to other figures! 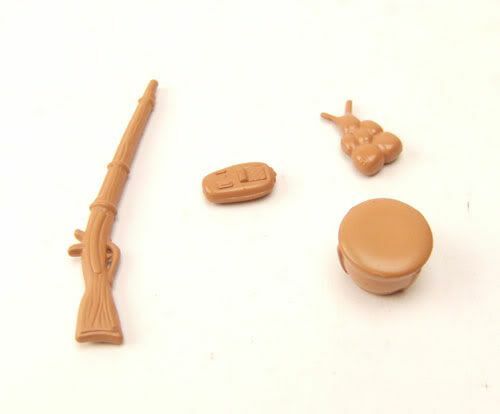 There's a flintlock for a Klingon to give to a villager, the crazy mako root for Nona to cure Kirk with, a hill people drum for Tyree to play, and a hand phaser for Nona to steal. The cardback incorrectly labels it as a "Type II Phaser", but it is obviously meant to be the smaller Type I hand phaser. 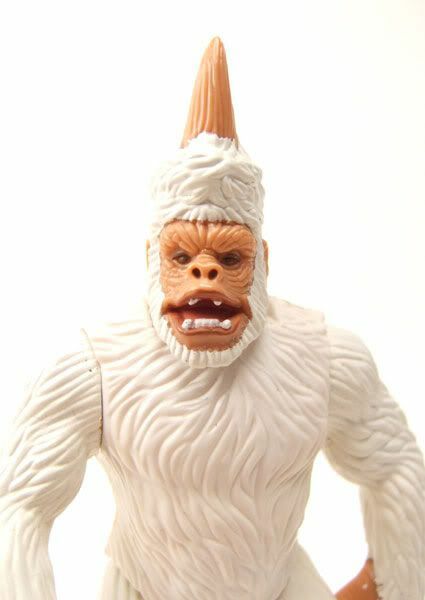 Labels: Mugato, Playmates, Playmates 4.5"
I hear his real name was Chuck!! One more great review in the bag.